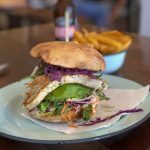 The Mez Club in Byron Bay is all about the Mediterranean. That goes for the décor, the drinks and the dining. Occupying two floors on the corner of Jonson and Marvell Streets, it’s hard not to spot the über chic ‘Mez’. 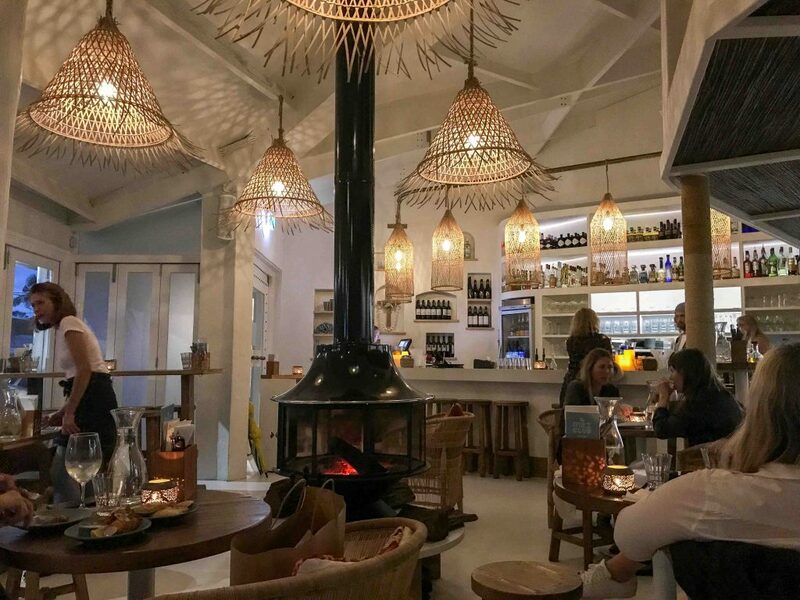 It’s busy all week long with locals and drop-ins descending for mezze platters, mixers and music after dark when the place heaves with the young and beautiful appropriately wasting the night away. Inspired by the architecture of the Mediterranean cities and coastlines, the venue is a mix of white washed walls from the Greek Islands, grilled windows with wooden shutters from Morocco, abundant cushions and leather poufs from Turkey and the muted hues of the dessert. From downstairs, the high ceiling and open outdoor dining area give The Mez Club a breezy lightness reminiscent of Santorini. 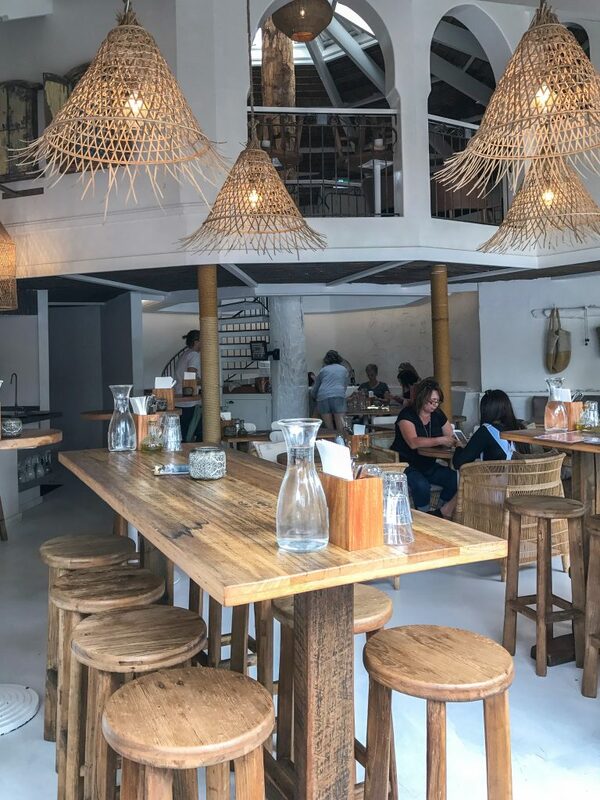 Seating is at a mixture of low and high tables, which are mostly comfortable, but I find sitting up at the bar while waiting for a free table can be too squishy when the staff are busy back and forth . At the rear of the lower floor is a semi-private dining nook with curved wall seating that has stood the test of time and numerous reincarnations from the building’s former lives. 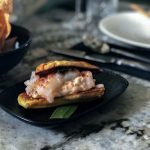 It’s great for groups. 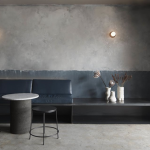 Above the spiral stair case on the second floor is ‘The Souk’ – a more intimate space for groups of 10 or more and private functions, complete with its own bar and mixed seating. 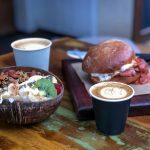 It can get a bit hot up there during the height of Summer – a bit like a Moroccan Souk I suppose – but when the weather is cooler it’s a delicious haven. 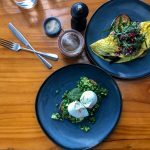 You need to book your table upstairs, while downstairs is mostly on a walk-in basis, however you can book a downstairs table in off season during the week. As for the food, The Mez Club menu sails gently around the shorelines of the kitchens and cultures lining ‘The Med’. 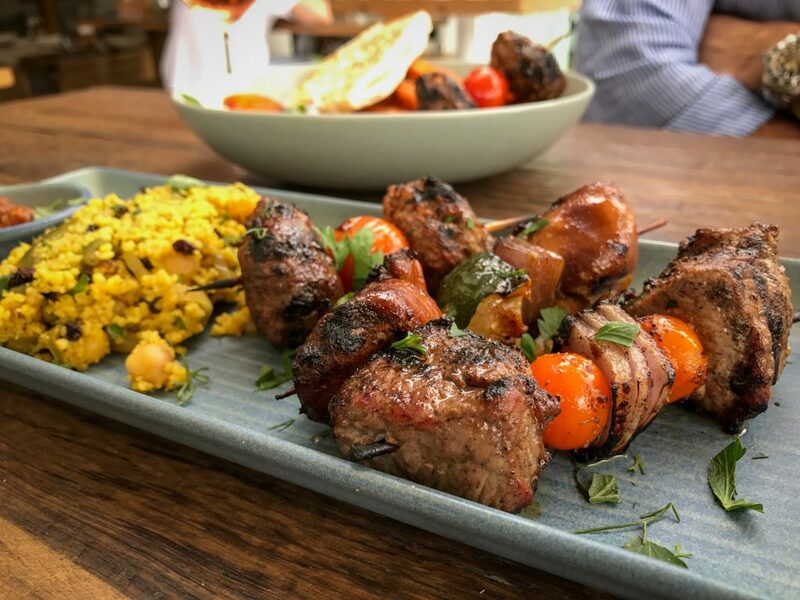 Think fresh mezze dishes and traditional shared platters that you would enjoy with friends and family for lunch with aperitifs overlooking the azure sea or as dinner after a day swimming and sunning at the beach. The menu starts with dips and nibbles like Greek Tzatziki, Warm Olives and Middle Eastern Hummus with Pitta Bread. For a light meal for two I can recommend the $38 for three Mezze Platter special. 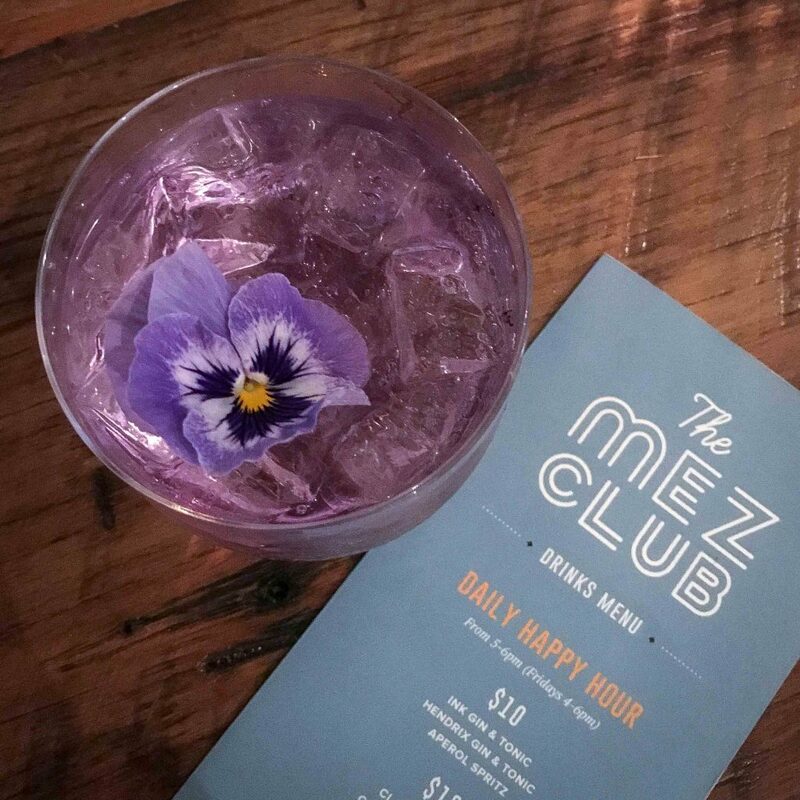 While The Mez Club menu can change with the seasons, I suggest the Halloumi, the Lamb Kofte and the Roast Beetroot Salad if they’re on. Also, the staff have always been happy to adjust quantities if, for example, a mezze dish comes with three pieces but there are four of you. Mr GFAF and I have enjoyed The Mez Club’s $20 lunchtime special a few times. 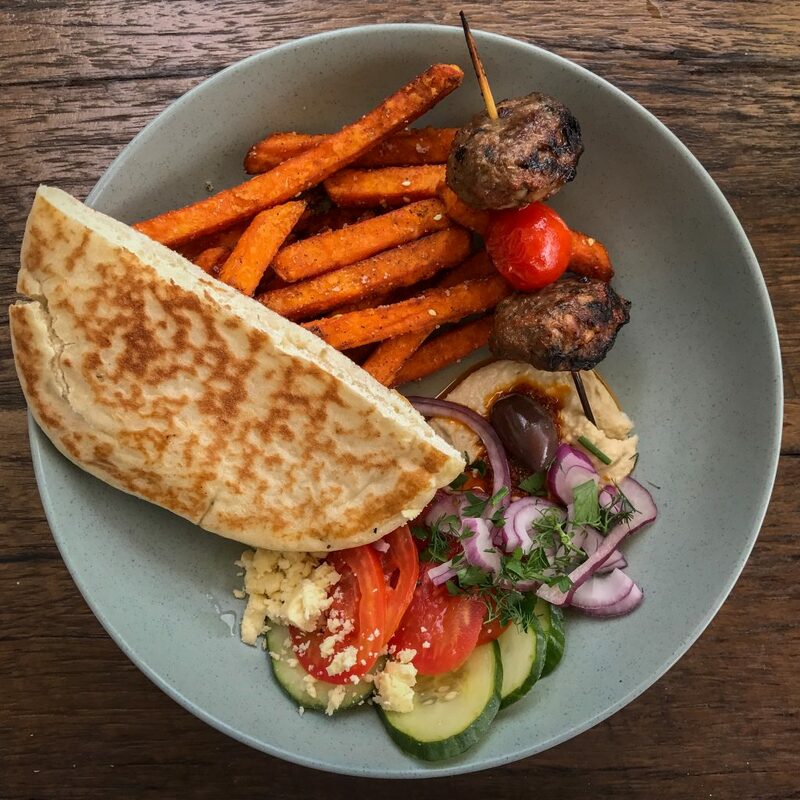 It’s a ‘Make Your Own Pitta Pocket’ plate with your choice of Chicken, Kofte, Haloumi or Roast Vegetable filling served with a half pitta pocket, sweet potato fries, Greek salad and hummus plus a glass of Pinot Grigio or a Stone and Wood Beer. The Sweet Potato Fries are delicious. There are desserts on the menu as well. The Sweet Mezze Selection includes locally made Turkish delight, baklava and halva with candied orange and rocky road is good for a small group and just right if, like me, you prefer a little bite of something sweet at the end of a meal without being overloaded. But you don’t just visit The Mez Club for the food – as great as it is. It’s the fantastic drinks as well – especially after hours during the daily Happy Hour which runs from 5-6pm every day except Friday when it is extended from 4-6pm. There is a good selection of wines and bubbles by the glass but it’s the aperitifs and cocktails that bring the crowds. 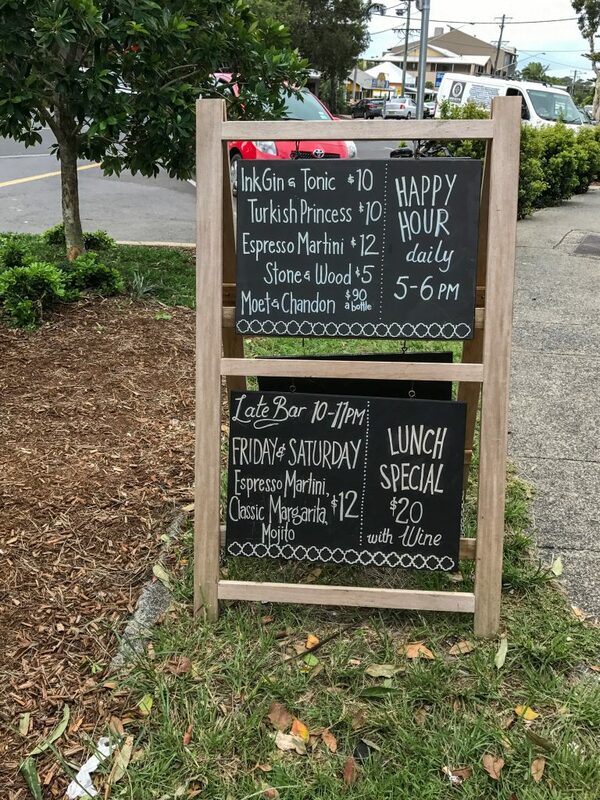 Try the local $10 Ink Gin and Tonic or the $12 Turkish Princess featuring Prosecco, Turkish delight liqueur, vodka and soda to stay on theme. 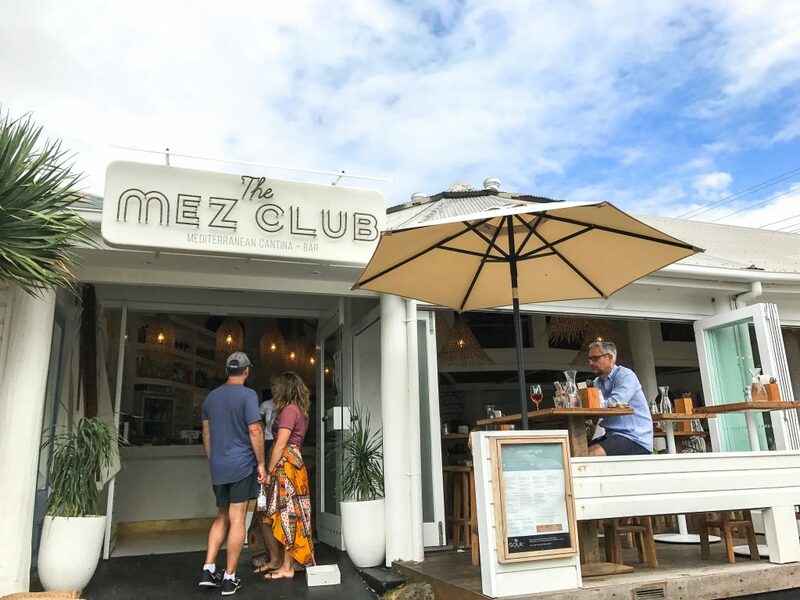 The Mez Club in Byron Bay is a long-awaited venue for those looking for fresh, tasty shared dining in the mezze tradition with grown up drinks and a bit of coastal Mediterranean chic. The space is stylish and ideal for a sunny lunch but even better after hours for grown up eats, drinks and beats.